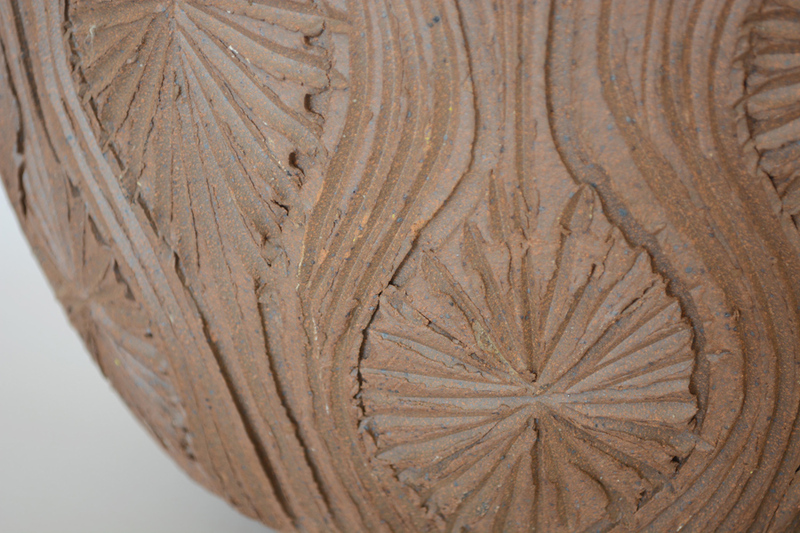 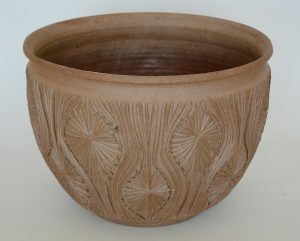 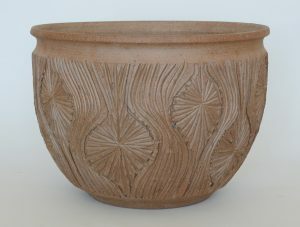 Stoneware planter designed by David Cressey and Robert Maxwell for Earthgender. 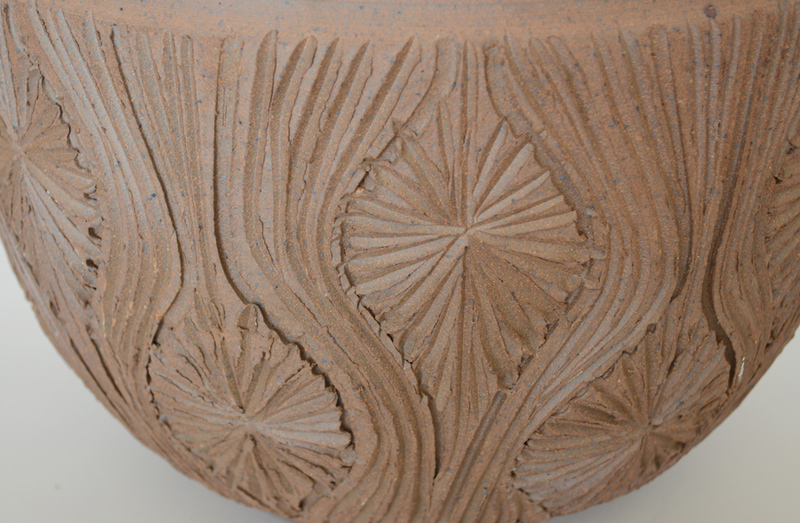 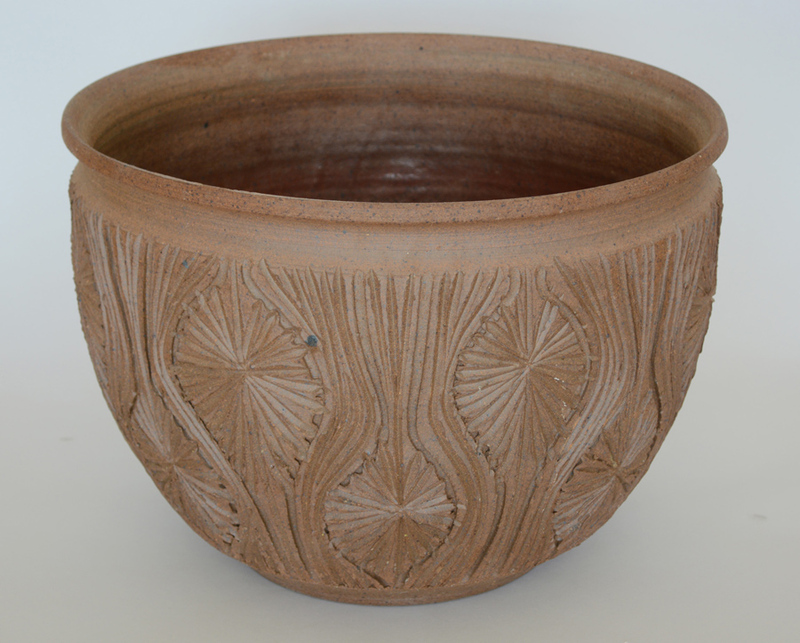 This planter features a design of incised lines and starbursts. 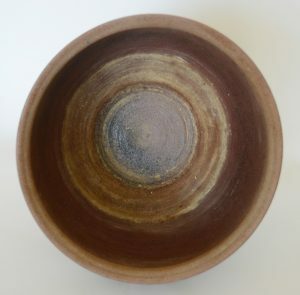 The outside is not glazed. 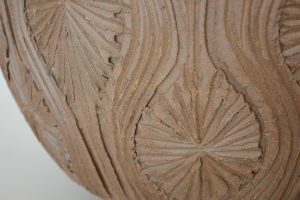 The lower three quarters of the inside is glazed. 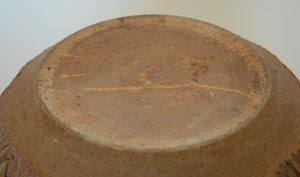 This planter is not drilled.